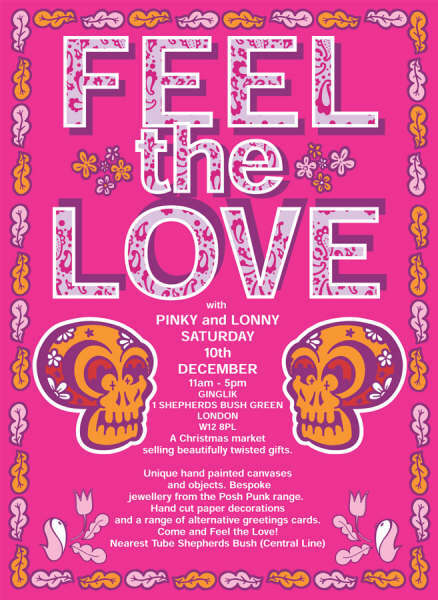 Pinky and Lonny will be appearing at this Christmas Market selling beautifully twisted gifs. Unique hand paiinted canvases and objects. Bespoke jewellery from the Posh Punk Range. Beautiful hand cut paper decorations and a range of alternative greetings cards. 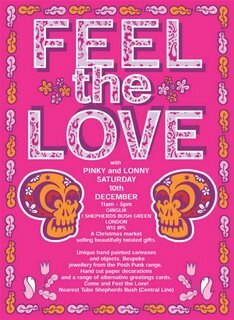 If you don't make it down, be sure and check Pinkys website and check out the colourfull illustrations and very cool screen prints.